Day 7: Camel ride in Hundar and drive back to Leh. You would be driven to Phyang, visit the monastery and then walk to Phyang Phu. 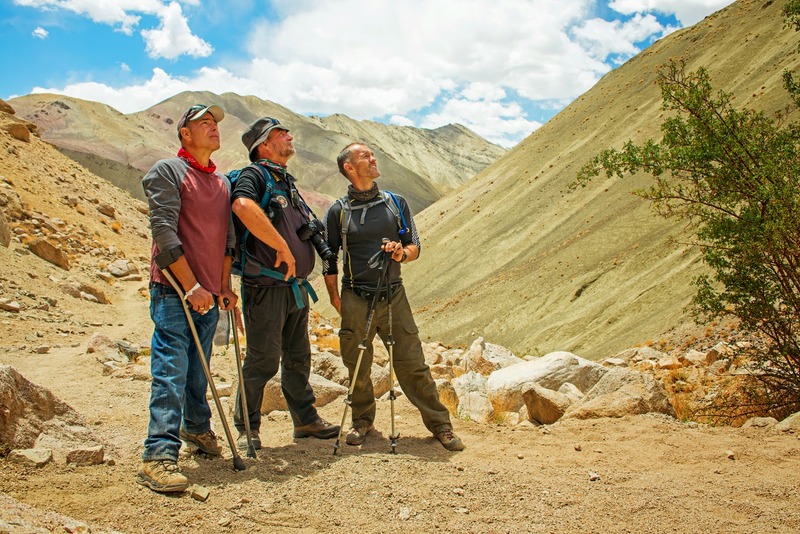 The first day of the trek would help you get acclimatized to the atmosphere and ground. After taking your breakfast, the trek would continue for the base of the Lasermo La. The trek on the 3rd day takes around 6 hours and takes you to the northern base of Lasermo La. An early morning start would make it easier to get through the Lasermo Pass. A top the Lasermo Pass, you can enjoy amazing views of the nearby peaks, the Shayok Valley and the Indus Valley. Then, the trail would pass through a rough terrain for more than an hour. It is essential to begin early because the glacier can melt and make the trek difficult during the later part of the day. Once you visit the campsite, you would find yourself surrounded by a stunning meadow with lots of flowers. Then, you would be making it to Hundar Dok that is around 5 hours away. The trek would pass through beautiful flower beds, meadows and rocks at many places. The major part of the journey would follow the Hundar stream. Then, you would come across the huts of the local shepherds from the Hundar Dok village living here with their goats, cows, yaks and sheep. If you can stop to observe them, they can be found milking, making butter and cheese, gathering vegetables and fuel for the approaching winter season. It is also possible to enjoy the taste of the cheese and milk with Tsampa. The campsite would be located over the Dok Gongma village. The 5th day of the journey would take you to Skarchen, which is around 5 hours from this place. you would be passing through a number of villages including Dok Yokma, Dok Gongma and Wachan. These are in fact part of the larger village, the Hundar Dok. You can also take the freedom to explore all these villages and spend time with the locals. This is the last day of the trek and takes you into the gorgeous Hunder Gorge, a journey of around 4 hours. This gorge would open just prior to moving down for the Hunder Bridge. From here, you can get a spectacular view of one of the highest peaks here, Saser Kangri that rises to over 7,600 meters. The last day of the journey in the vast Nubra Valley would involveexploring the nearby areas and taking a camel ride across the dunes of Hunder. Then, you would be taken by a jeep to Sumur, Diskit and the highest motor-able road, the Khardungla pass, before returning to Leh.